I hope you had an excellent weekend. Ours was filled with lots of rain and football, a cloudy reminder that Summer is truly behind us. Today i'm going to share something pretty life changing with you. When I say life changing, i'm not even being dramatic. This broccoli is to.die.for. I could eat an entire bag. If you are having trouble getting in your veggies, this recipe MUST be added to your arsenal. Best part is, it's completely done in under 4 minutes. A 4 minute side dish? Count. me. in. 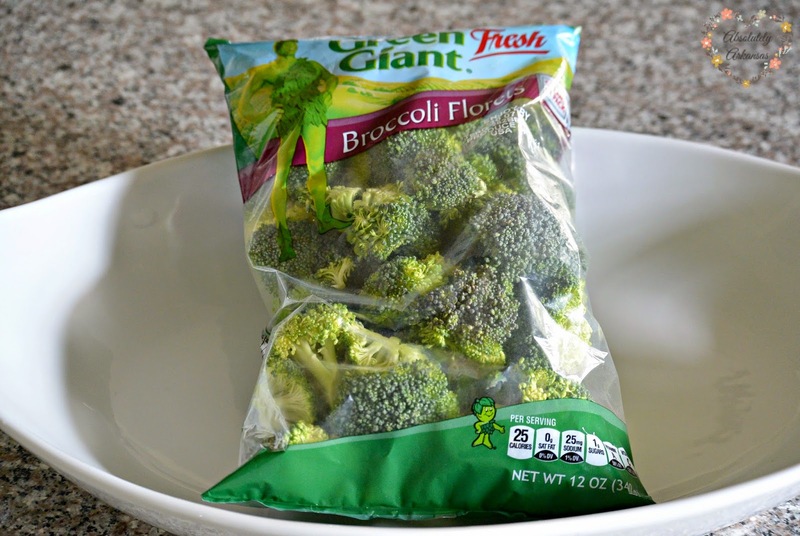 Start by steaming your broccoli to taste. The directions on this bag say 3 minutes, I take 30 seconds off of that and simply pierce the bag a few times, and microwave for 2 minutes 30 seconds. 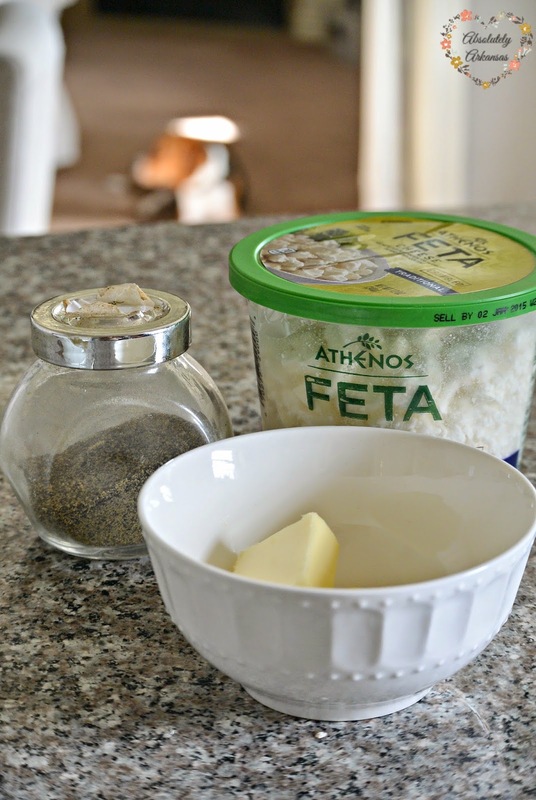 Slice 2 tablespoons organic butter, and add to the bottom of a mixing bowl, along with your selected spices. This is great with black pepper only, however, sometimes I get a little craving for some kick and throw in some garlic powder and red pepper flakes. 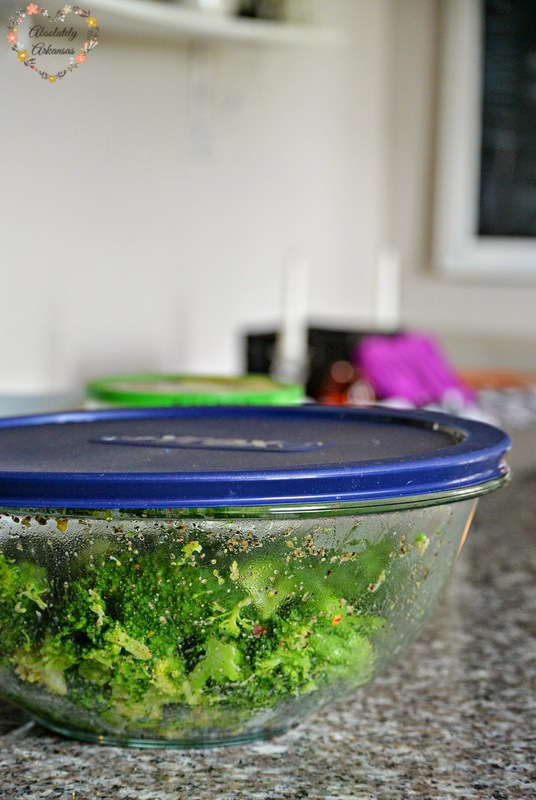 When your broccoli is done steaming, toss it on top of your butter/spices and cover for 30 seconds- minute. This just melts the butter and helps the broccoli to absorb the spices. Now comes the fun part- top with 1/2 cup of crumbled feta cheese...and DEVOUR! I'm drooling on my keyboard over broccoli! I need to make this now. Hey, good lookin'! It is soo good! 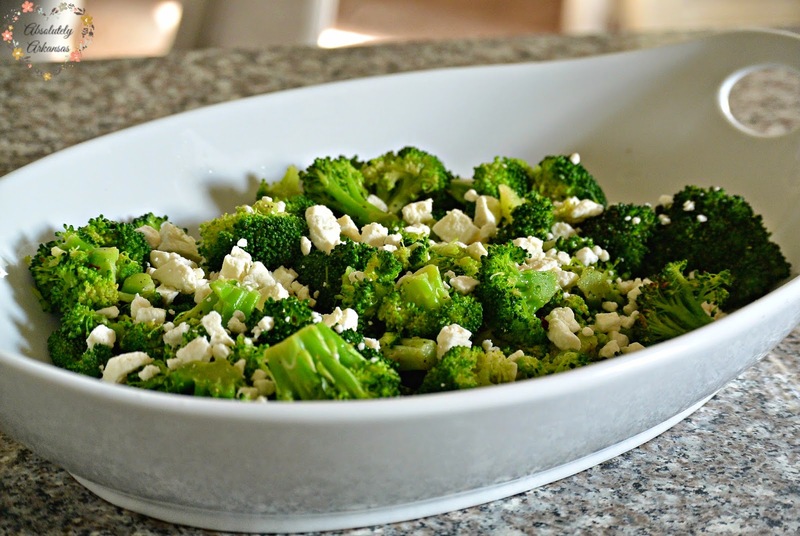 My favorite take on cheesy broccoli :) I hope you had a great weekend! Broccoli is one of my favorite vegetables! Usually I'm a purist and I just go with a little salt and pepper, or lemon pepper if I'm feeling crazy...but this looks great!! Oh you would LOVE it, Angi! It's delicious! Lemon pepper is so good too. I think a squeeze of fresh lemon on the broccoli would be bomb.com. ! Looks so yummy, even my husband would eat it! Thanks for sharing the recipe. You are so welcome, my friend! It is seriously delicious, you will LOVE IT! Happy Monday! Oh Kylie. I seriously love you. How is it possible you make a post about broccoli entertaining?!? But seriously. I love you. And now I am going to make this recipe. 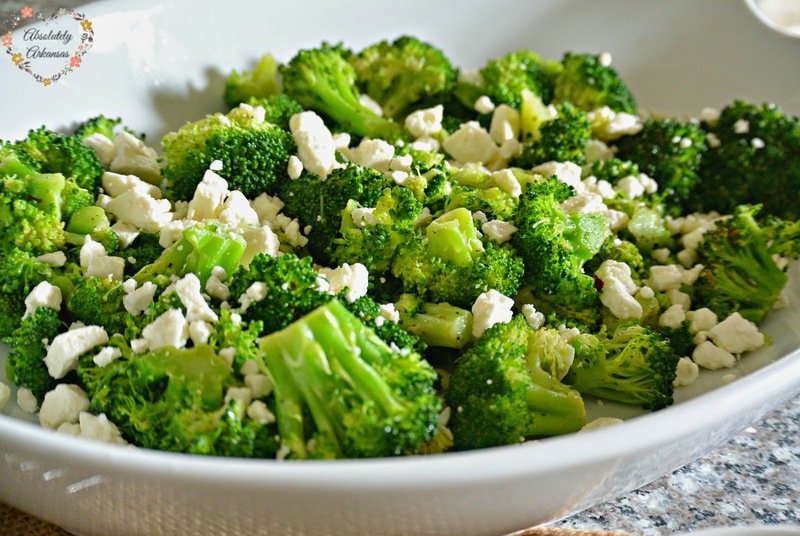 I'm 5 and I hate broccoli, so I will have to try this recipe out! Thanks for stopping by my blog! I just followed you on Bloglovin and GFC! Thank you so much, Michaela! I am so, so glad to have you! You have to try this recipe, you might love it! I never know what to do with broccoli except to just let them be as they are, but this is such a great idea. Oh i'm so glad you found it useful, friend! I's really yummy! Broccoli is my favorite food! (weird, I know!) so I definitely can't wait to try this! Okay, so that's super weird...but I forgive you cause this cheesy broccoli might be in my top 5 favorite foods now. Yumm I will definitely have to try this!!! 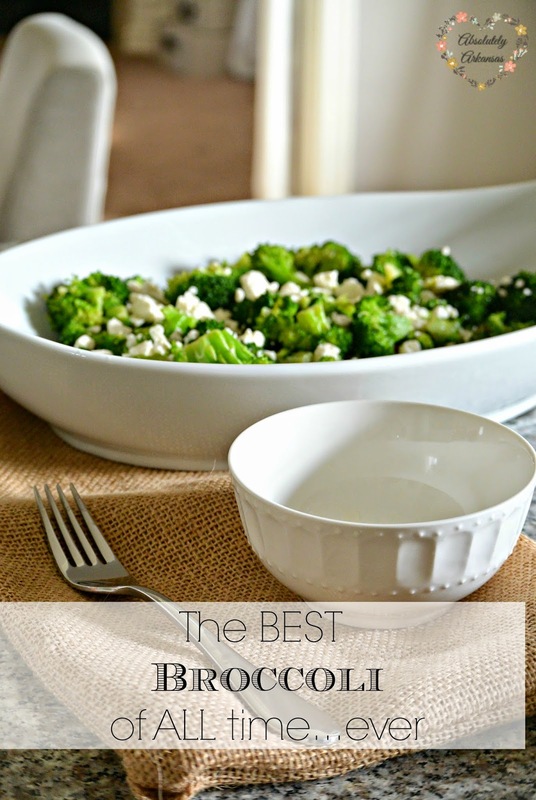 I am obsessed with a zucchini feta recipe, so I have a feeling I will love this! Thanks!! OH Zucchini sounds DELICIOUS! I will have to try that one! It is delicious! I could absolutely eat it for every meal!